Built by the leading Italian shipyard Benetti, the 28-metre superyacht Mister Z is the eighth Delfino series vessel, launched in 2014. Ideal for extended long periods of cruising with family, luxury motor yacht Mister Z boasts spacious and contemporary interiors, designed by the yard's in-house team. 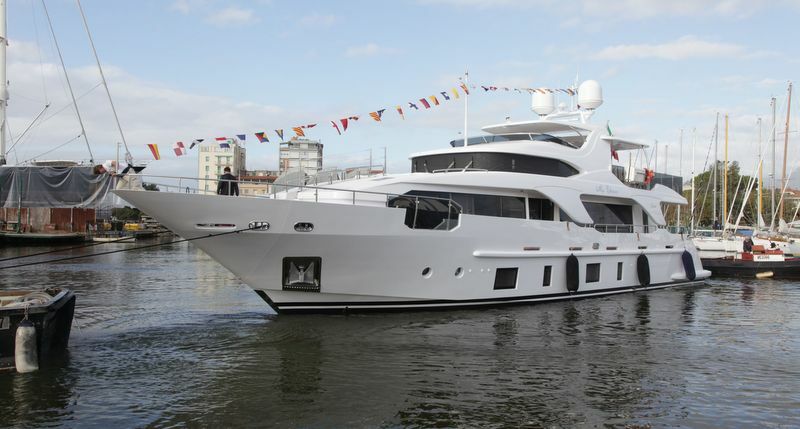 Benetti Delfino luxury yacht Mister Z provides lovely and comfortable accommodation to up to 10 guests. There is a master cabin on the main deck, as well as two double VIP staterooms aft and two twin staterooms forward with Pullman berths. In addition, there is space for a friendly and dedicated crew of 4 members. Superyacht Mister Z is equipped with MTU engines and zero speed stabilizers. She has a range of 1,500nm, which is ideal for economical long-range cruising. A total number of 10 guests are provided with utmost in luxury aboard Mister Z superyacht. There is a master cabin on the main deck, as well as two double VIP staterooms aft and two twin staterooms forward with Pullman berths. Moreover, there is accommodation for an attentive crew of 4 members.